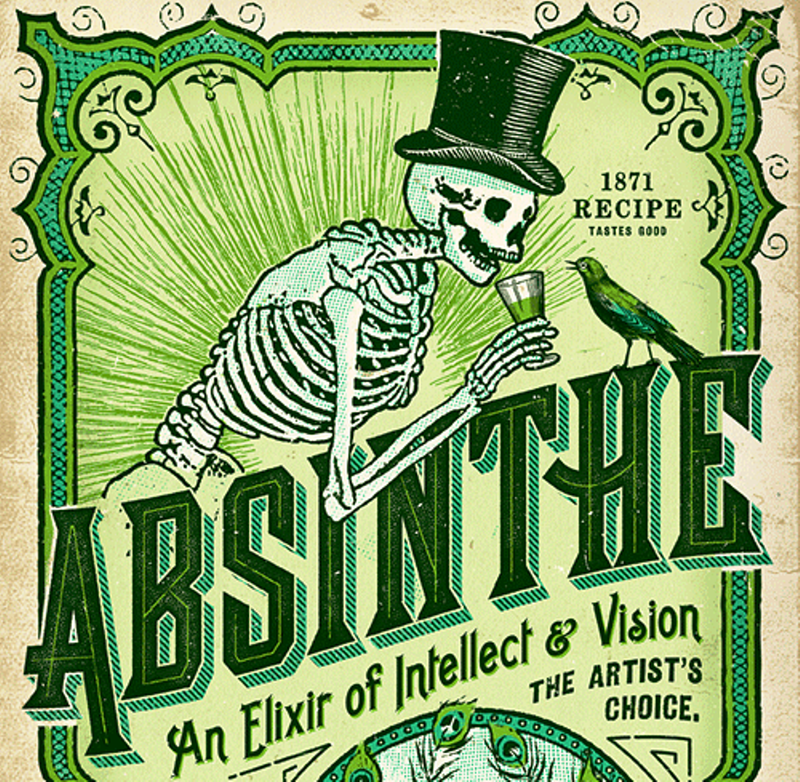 Absinthe is an anise-flavored liquor or spirit that is made by steeping wormwood ('quinine of the poor') and other aromatic herbs (hyssop, lemon balm, and angelica) in alcohol. The drink was invented by one Pierre Ordinaire, a French doctor, as a remedy for his patients. 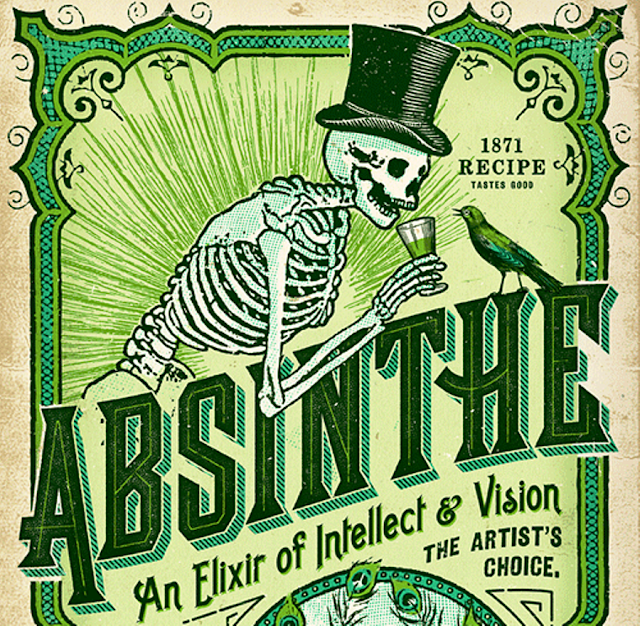 Banned for almost a century until its recent revival, absinthe is something of a “living fossil”, able to transport us back to the dazzling world of Paris and the Belle Époque, a world of bohemian musicians and writers.